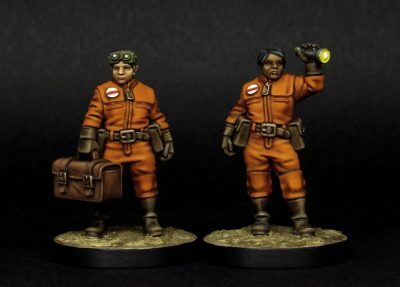 Statuesque Miniatures is pleased to announce the release of two new figures for the Statuesque Starport range. Today, the Able Spacewomen join their colleagues in the Starport! Able Spacewoman 1 is available as a New Release Special Offer for only £4. Able Spacewoman 2 is available as a New Release Special Offer for only £4.25. Alternatively, you can get both figures in the Able Spacewomen Special Offer for only £7.75, saving £1 over the regular prices. Finally, you can get all four Able Space-persons in The Deck Department with a New Release Special Offer price of only £15.50, saving £2.50 over the regular, individual prices!